Dichromorpha viridis (Short-winged Green Grasshopper). Size: approx. 10 mm. Photo: 06/26/14, 7 pm. 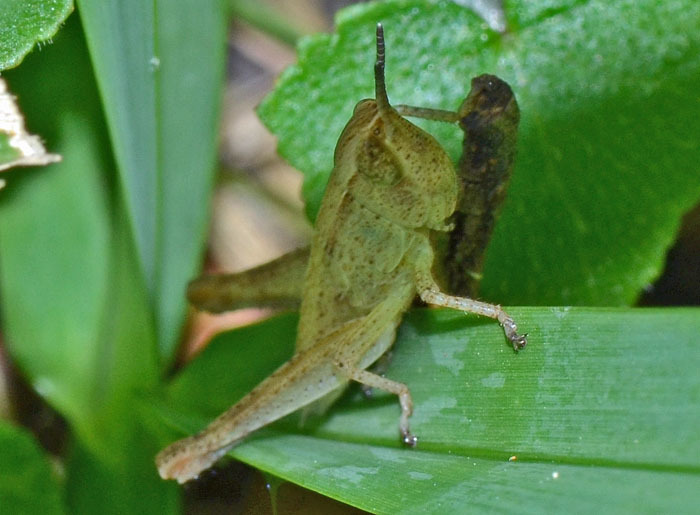 Not a great photo but here is the Short-winged Green Grasshopper. Their color varies from green to brown. Males can have two distinct colors whereas females don't. The face is slanted. They are often found in grasses and on lawns.